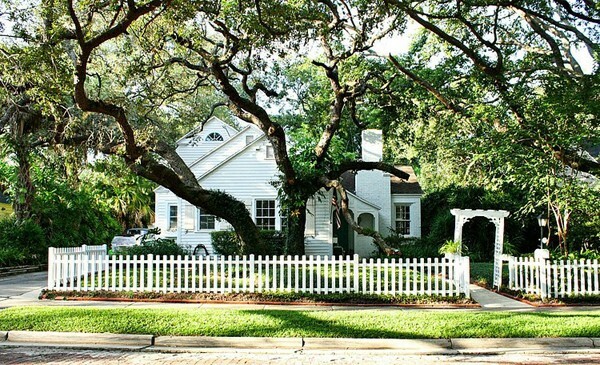 Carcary Residence is a revamped dream cottage by in Bayshore Beautiful, an oak-filled neighborhood in Tampa, Florida, just steps away from the bay. The 1940’s home is owned by Shona and Shaun Carcary, natives of South Africa (she is a personal trainer and he is a real estate investor), who saw past “the huge workload involved but could see the home’s charm and good bones,” Shona says. 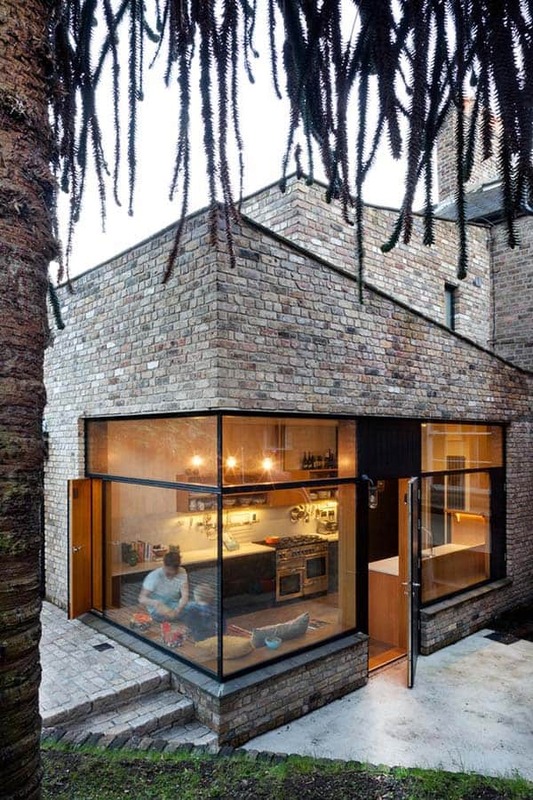 The couple spent six years renovating the 1,500 square foot, two bedroom, two bathroom home. They painted floors, gutted and remodeled the bathrooms and the kitchen, converted the detached garage into a fitness studio and “man room,” and gave the entire house a dreamy, all-white makeover. 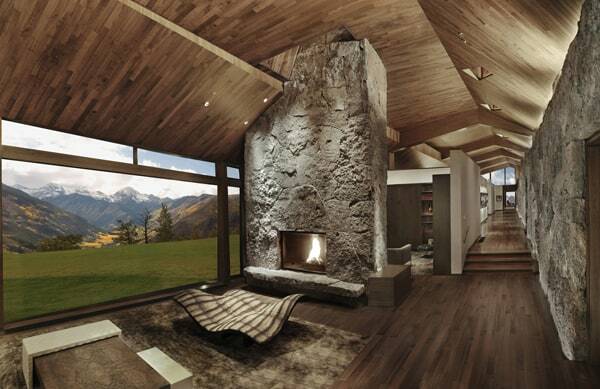 The couple ripped out the dark brown carpeting throughout the house to reveal hardwood floors. Shona is a huge fan of white, and painted the floors, pink walls and wood fireplace mantel all the same color, Ultra Pure White by Behr. The couple also replaced the original windows. 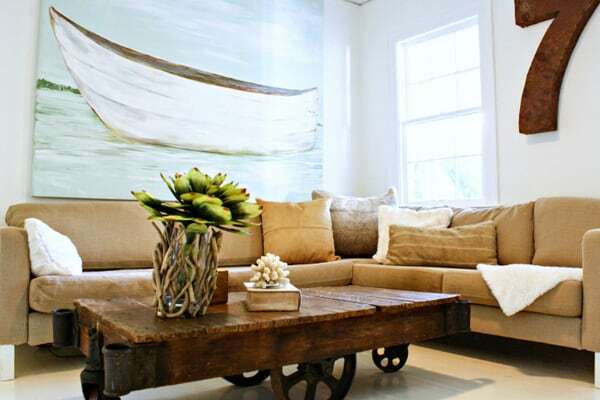 Most of the living room furniture, including the sofa, side table, tree trunk coffee table, lighting and decorative accents, are from Tampa’s . An area Shona uses as her home office is visible through the French doors. “It’s where I gather my thoughts and organize my days,” she says. 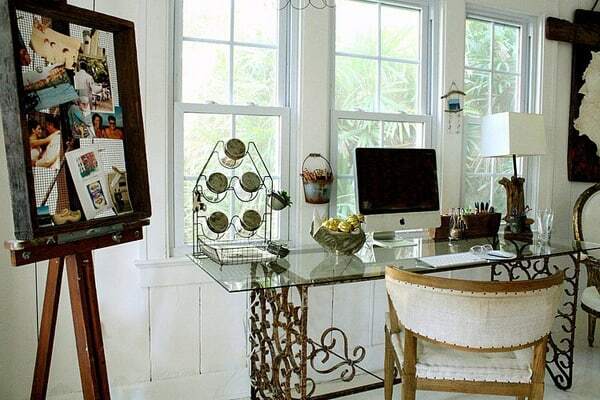 She converted a former garden table into a desk by adding a custom glass top. 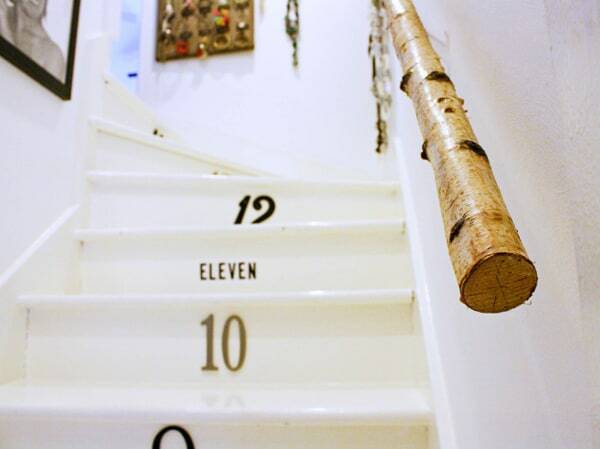 Painted stairs and risers sporting house numbers lead upstairs to the couple’s bedroom. Shona purchased a different number every time she went to a hardware store, accumulating a collection over time. “I added them because I always count steps as I go up and down,” she says. 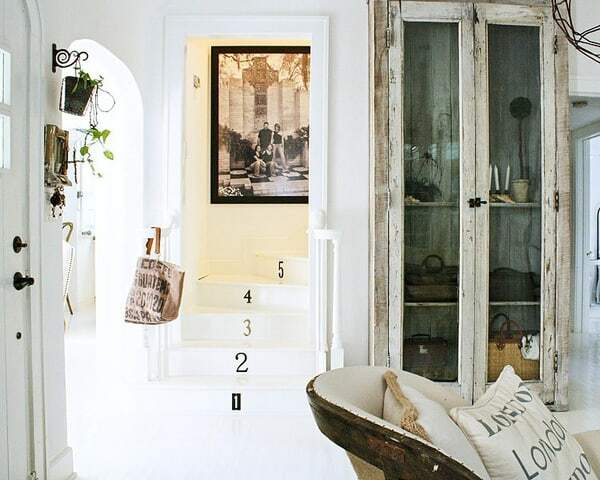 The couple fashioned a stair railing from a birch branch they purchased at Michaels. A local artisan made the dining room pendant light using materials salvaged from a chicken coop. 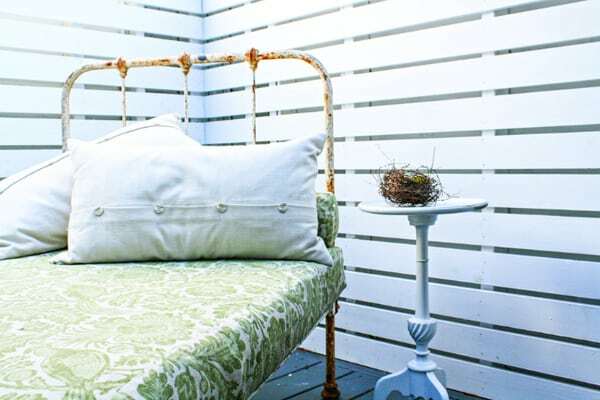 “I love the eclectic feel of mixing old and new, repurposing items and using them in unexpected ways,” Shona says. The Carcarys completed the kitchen remodel themselves, inspired by compact kitchens with open shelving that they saw during trips to Italy and France. 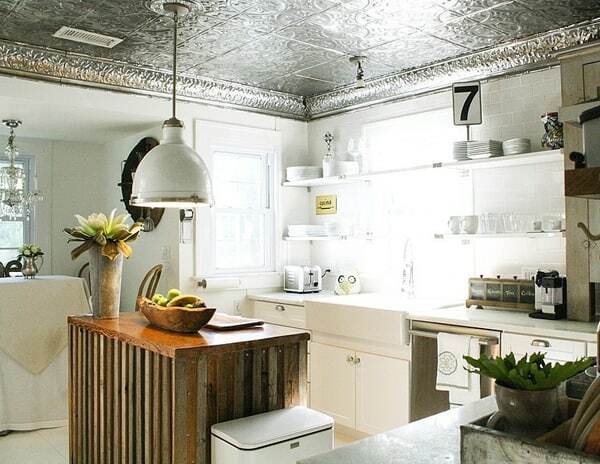 The tin ceiling proved to be the most challenging element, as each tile needed to be laid individually. 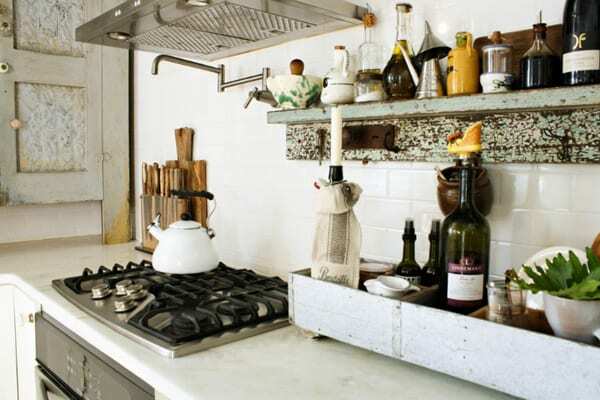 The countertops are marble, while the kitchen island was made from barn wood floors. The overall cost of the kitchen renovation was $20,000, including appliances and materials. 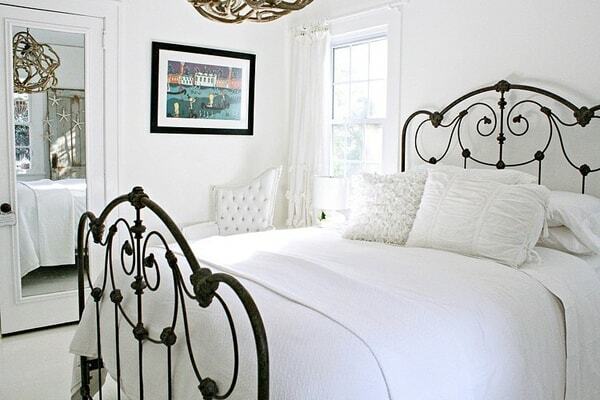 The first-floor guest bedroom was kept light and airy, with both the floors and walls painted entirely white. 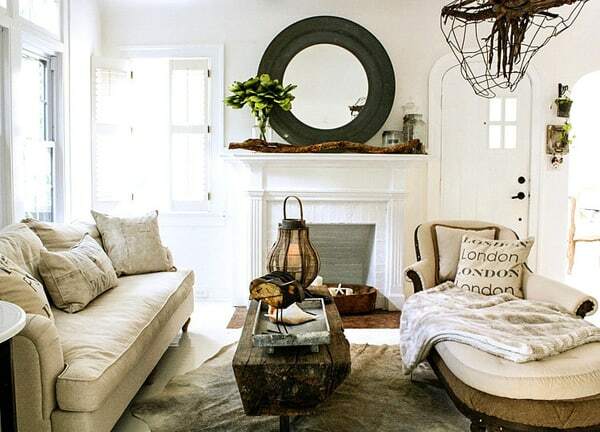 Shona’s love of an (almost) all-white palette mixes well with the earthy, nature-inspired accents. 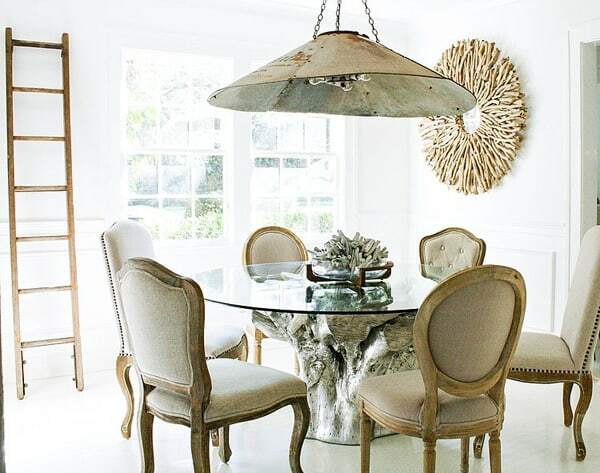 “I have found that natural elements like wood, stone, metal and shells are what I’m drawn to,” she says. 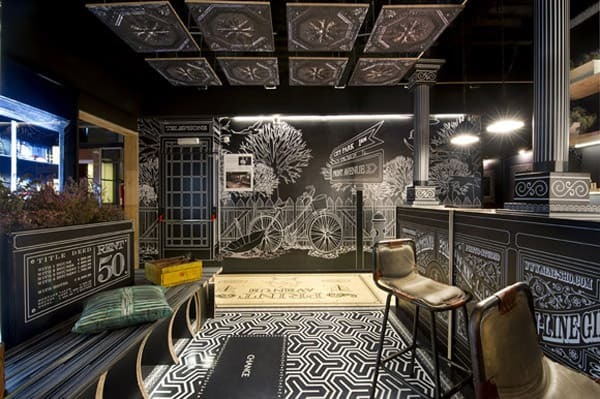 Vintage French armchairs add a touch of elegance to Shona’s office. 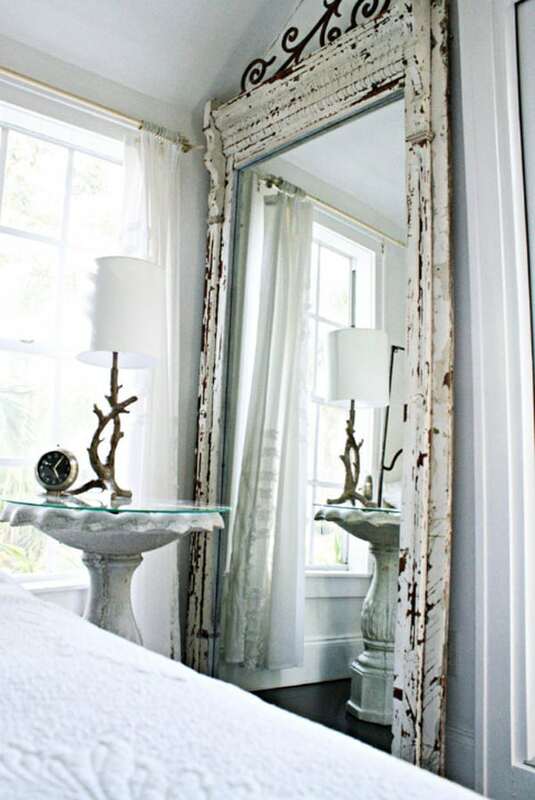 To provide some privacy from the living room, the owners added French doors, which they painted the same shade of white as the rest of the interior; they create a smooth transition between rooms. In the master bedroom upstairs, the couple removed a closet to create the shower, which they enclosed with a glass wall to make the space feel larger and appear more open. 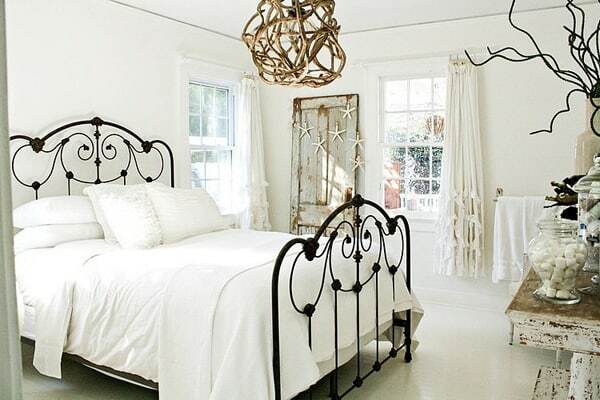 Shona painted the master bedroom floors black but stuck to white with the linens. The nightstand is a birdbath that Shona fitted with a custom glass top. 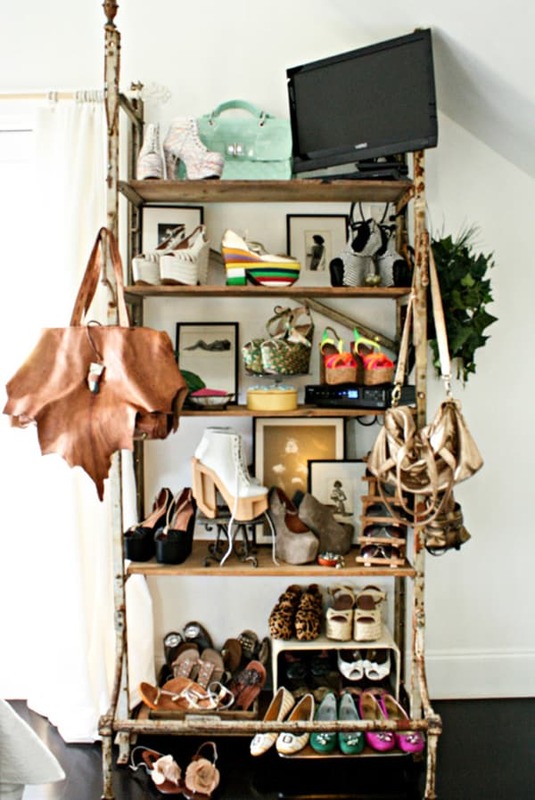 Shona splurged on this vintage-style shelf from Anthropologie, and uses it to display her collection of platform shoes and travel knickknacks. She’s particularly fond of the leather handbag, which she purchased on a trip to Ibiza. 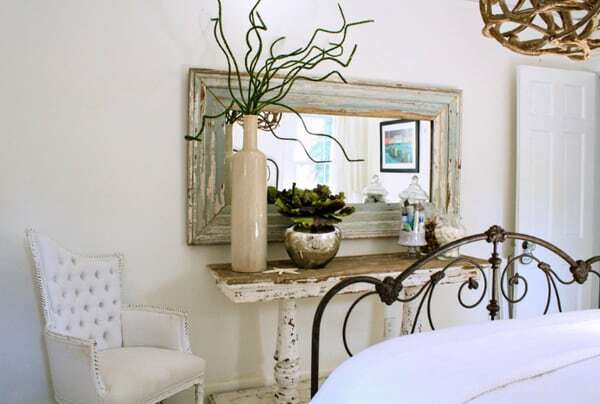 “I love to spend time on the weekends looking for one-of-a-kind finds,” she says. 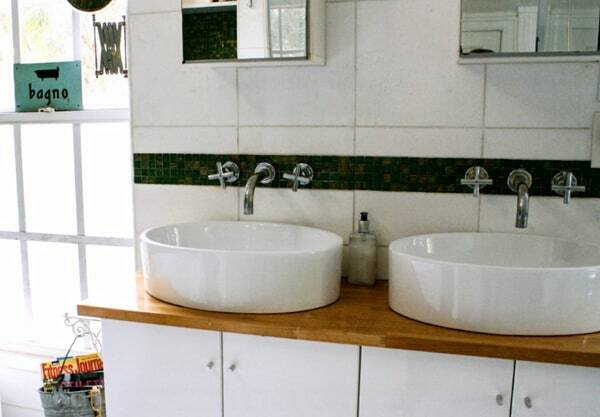 Shona and Shaun did all the labor on their bathroom remodel. 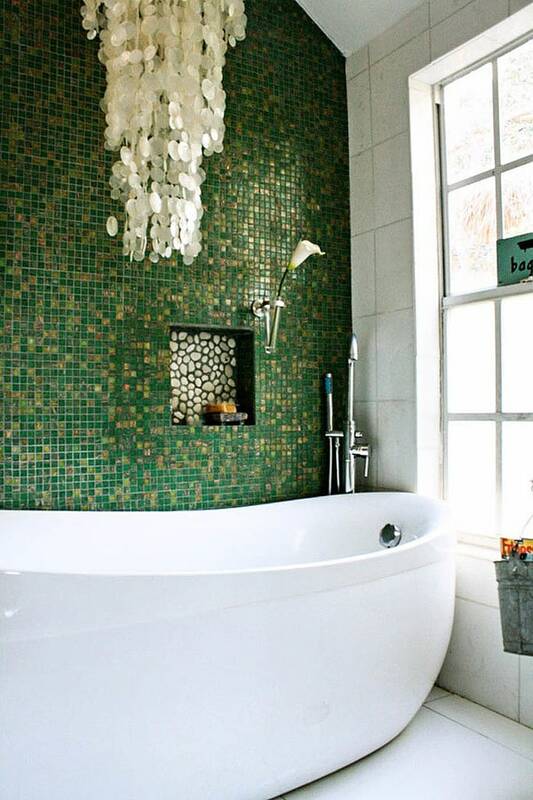 They sourced both the bathtub and the emerald-green and gold mosaic tile on eBay. Shona and Shaun use the family room the most and love to unwind together in front of the TV. The number 7 is particularly meaningful to Shona, as her brother passed away on December 7. 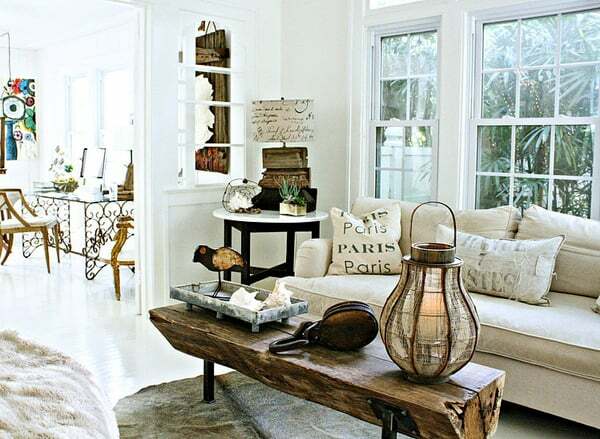 This numerical accent is a small way of honoring and remembering him in one of her favorite spaces. 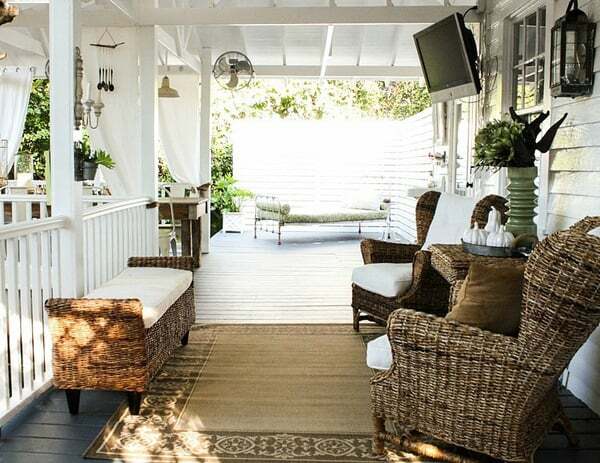 The outdoor areas, like this deck that Shaun built, extend the interior with natural surfaces and touches of white. 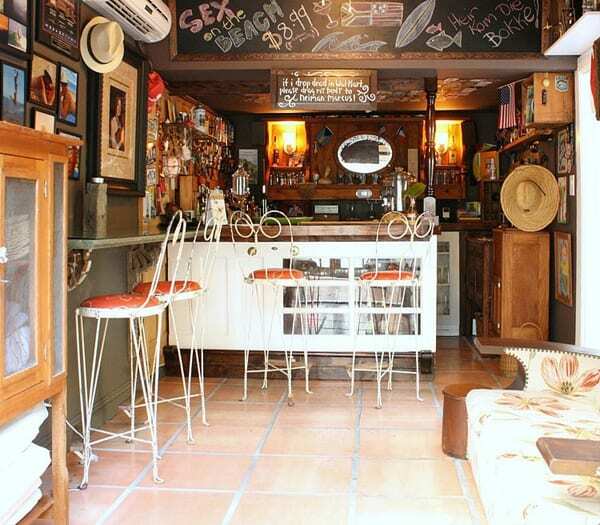 The couple loves to entertain guests here, and hosts parties and evenings with wine often. 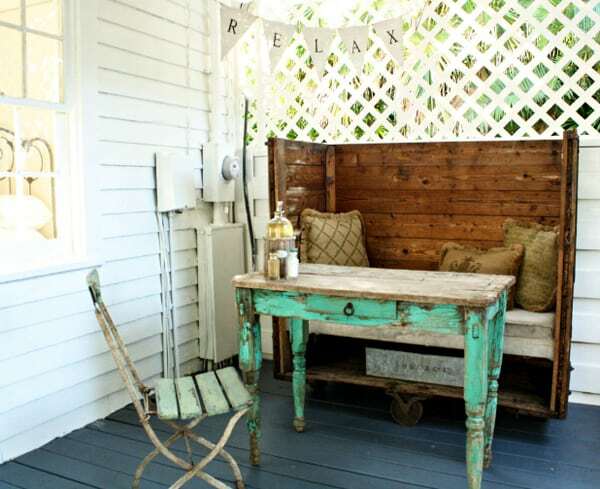 The desk, café chair and cart bench are all vintage and from . 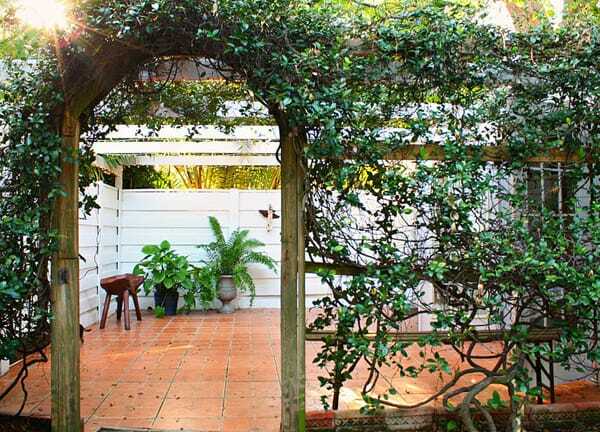 A climbing plant shrouds the arbor leading to the converted garage, which now houses Shona’s fitness studio and Shaun’s home bar. 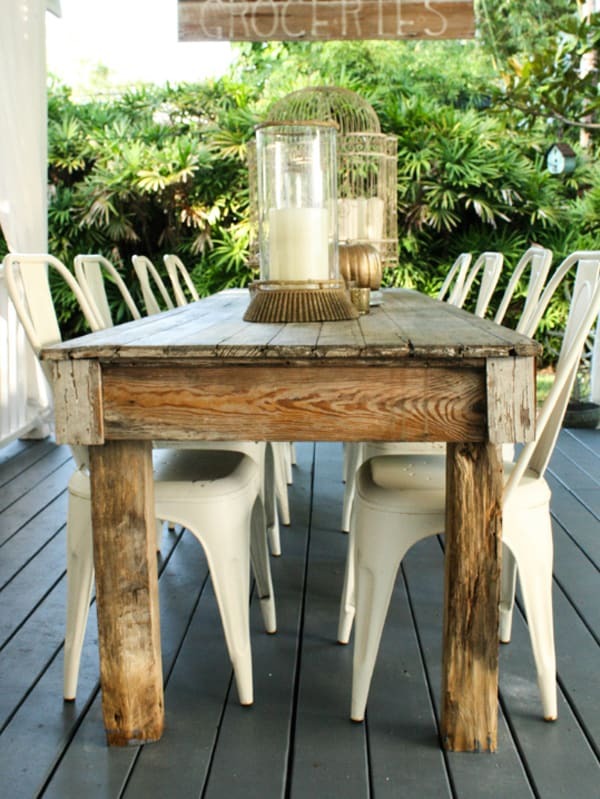 This farm table on the back deck gives Shaun and Shona plenty of opportunities to host al fresco meals. The couple divided their detached garage into two separate rooms. To the left is Shona’s fitness studio, where she works from home. 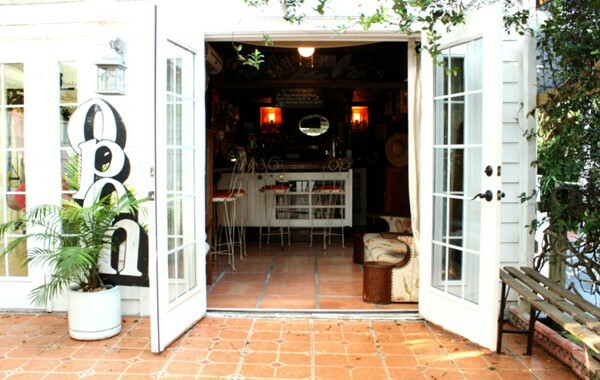 These French doors lead to what Shaun calls his “man room,” where he spends time lounging in front of the TV. The bar in Shaun’s room is made from a kitchen door that the couple salvaged during their remodel. 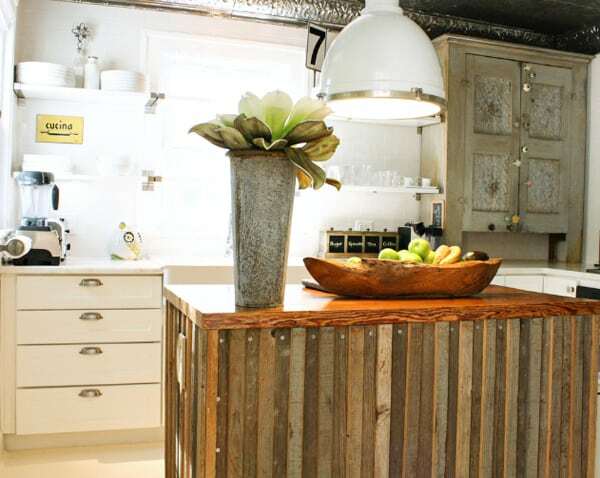 The back shelf was made from a headboard they brought over from South Africa, while the walls are decorated with building materials from the school in South Africa where Shona used to work as a nursery teacher. 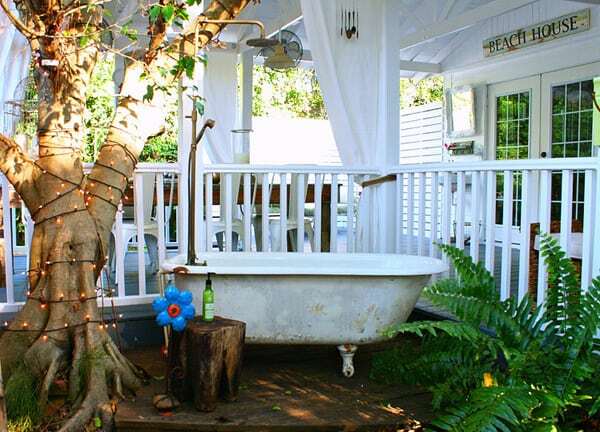 The couple created a backyard bathing oasis with a salvaged claw-foot tub. Hardwood floors grace the home fitness studio, where Shona tends to clients as a personal trainer and nutrition expert. 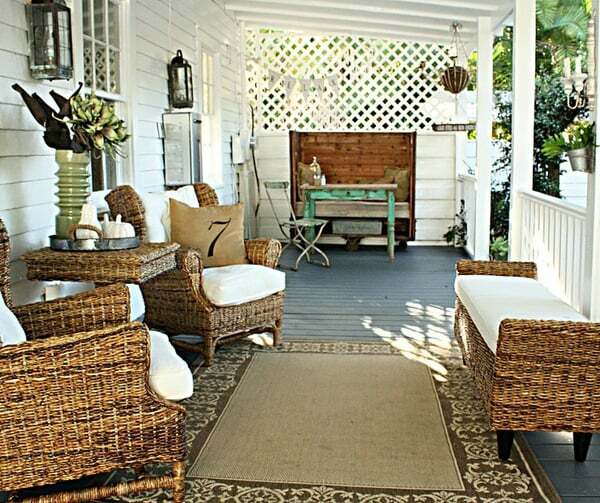 The cottage is nestled behind grand oaks on an old brick-lined street just steps from the bay. 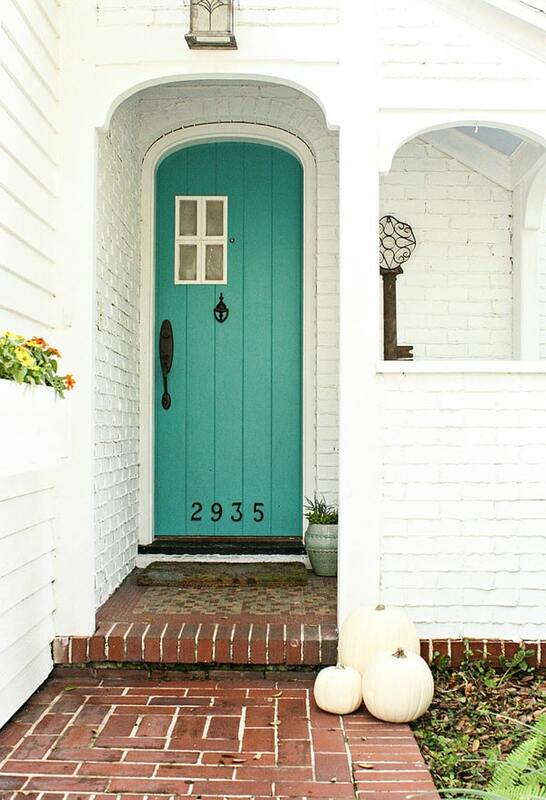 When the Carcarys moved in, the exterior featured a mix of yellow siding, blue trim and exposed brick. 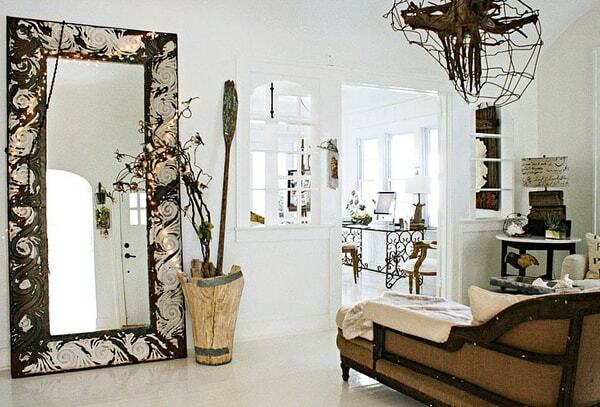 The couple painted the entire house the same shade of white as the interior. Since they converted their garage into living space, they now park their cars in the driveway. Shona is shown here with their four playful Chihuahuas, Dinky, Peatri, Bumpy and Dobby.